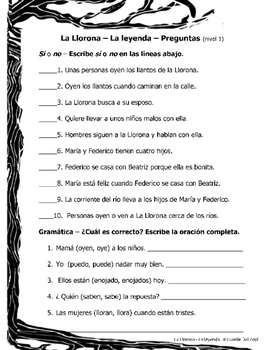 La Llorona – La leyenda is a packet that contains short (two pages each)Spanish readings in two levels. 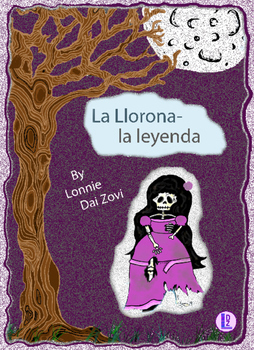 The readings, along with the delightful grayscale drawings, tell the story of the popular legend prevalent in the Hispanic community. 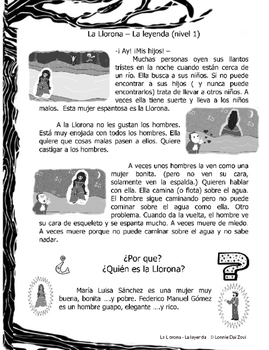 It is commonly believed that the jilted woman drowned her children to punish her lover. 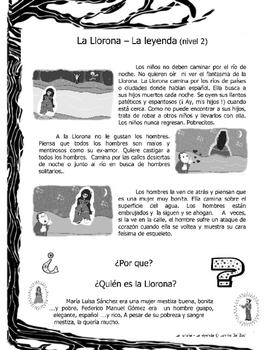 However this version implies that the children drowned because she was crying and not paying attention when they were swimming.